From a pentester point of view, It’s tempting to be cynic and to point to the customer: “Ah ah! You have a XSS on your homepage! Fail!“. First of all this is not professional. Don’t forget that you’re in a customer-contractor relationship. The customer don’t expect a blame but some inputs to improve the overall security. It’s not the pentester job to provide a turnkey solution to fix an issue but it must be properly reported with a valid severity. Again, I won’t discuss the severity of a XSS vulnerability because the context is a key element here. When I report an issue in my report, there is of course a complete technical description of the issue, how to reproduce it and a PoC (proof-of-concept) which can be a screenshot, a password, a DB dump, … Then the vulnerability must be placed in the context of the customer’s business and properly rated. The final goal isn’t to stress the customer. A likelihood which is based on the exploitability, the reproductibility, the discoverability and the frequency. Some examples? A likelihood of “rare” is assigned to an issue which requires highly skilled and determined attacker with substantial resources. Consequences are translated in business impacts: A catastrophic consequence on system confidentiality is a major disclosure or highly-confidential information. To apply correctly those flags, a good understanding of the business (the context) is required. It’s easy to understand that a website operated by a major bank will be more critical than the website of your local flowershop. But, in the same idea, a XSS vulnerability on the corporate bank portal will have less impact than the same issue on the e-banking front-end! I always suggest to the customer sit down together around the table and to review the issues found. An open discussion might change the initial flags that were applied. To conclude, each issue found during a pentest must be properly addressed and reviewed with the customer. 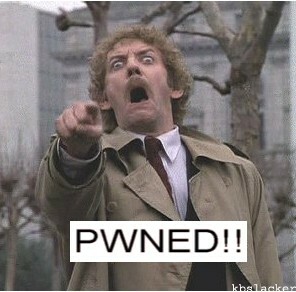 Pingback: Security-Vision » Pwned or not Pwned?